When you export a big morph project as the default uncompressed avi format, the resulting avi file will be huge and even can't work in player programs. In this case, you should export the morph as compressed avi format. 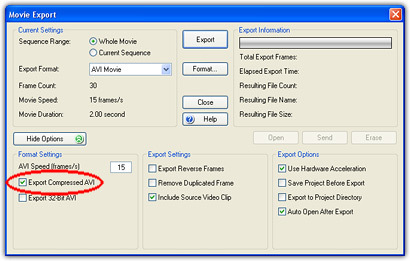 It is strongly recommended to generate compressed avi files by DivX codec. 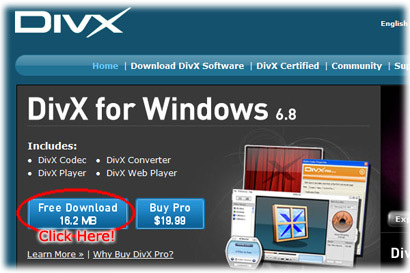 Please visit http://www.divx.com to download and install the DivX codec, it is popular and free! Then, when you export a morph in FantaMorph, please make sure the "Export Compressed AVI" is checked. By default, this option is unchecked so the resulting avi files will be uncompressed. After you click the Export button and type a desired file name, the Video Compression window will appear. 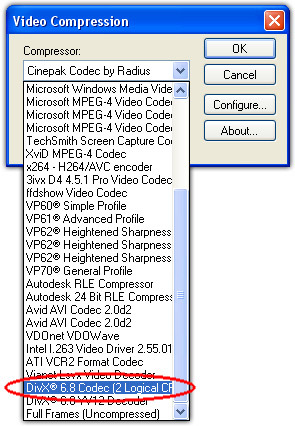 Now drop the Compressor list, find the "DivX Codec" item and choose it, you'll then get a compressed avi file with small file size and excellent video quality! If you see an error message after choose the DivX codec, that means the movie size you set is not suitable for DivX. In that case please set the movie size in pixels that evenly divisible by 16, e.g. 320 x 240, 640 x 480, 720 x 480, 720 x 576, etc.